The 101-year history of the National Hockey League® is rich in rivalries, those heated battles that make a win or a loss against a certain team that much sweeter or more painful. Throughout the league are bitter rivalries, some spanning the entire history of the league, some brand-new but just as intense as their brethren. Below is a list of the essential rivalries to watch out for during the 2018-19 NHL season. Dating back to the Atlanta Flames’ relocation to Calgary in 1980, the Battle of Alberta is still one of the fiercest rivalries in the National Hockey League®. From 1983 to 1990, the road to the Stanley Cup® Championship went through the prairies of Alberta, with the Edmonton Oilers winning six Campbell trophies and five Cup titles, and the Calgary Flames appearing in the 1986 Stanley Cup® Final and winning the 1989 Stanley Cup® Championship. This rivalry was the very model of consistency in the 1980s and ’90s, with the St. Louis Blues and Chicago Blackhawks both appearing in the Stanley Cup® Playoffs every year from 1980 to 1997, facing each other in the postseason eight times in that span. Both teams have shifted from the historical Norris Division to today’s Central Division, but the rivalry continues to this day, with their most recent Playoffs battle happening in 2016. The commonwealth of Pennsylvania is home to two of the NHL’s most rabid fan bases, and one of its greatest rivalries. The Philadelphia Flyers and Pittsburgh Penguins’ origins as part of the 1967 expansion give them a shared bond, while the Flyers’ dominance during the 1970s and ’80s and the Penguins’ success behind Mario Lemieux and Sidney Crosby in recent decades have only intensified the rivalry. These two teams will meet on a larger stage on February 23, when the Flyers® host a Stadium Series game against Pittsburgh at Lincoln Financial Field. The Pittsburgh Penguins and Washington Capitals have combined for the last three Stanley Cup® Championships, but their rivalry dates from the 1990s, when the two teams played each other seven times in the postseason from 1991 to 2001. The Pens/Caps rivalry reached another level, though, starting in the mid-2000s, when the two teams each had the #1 selection in the NHL Draft™. The two key picks, Alex Ovechkin for Washington in 2004 and Sidney Crosby for Pittsburgh in 2005, turned out very well for both teams, but there is still no love lost between them. 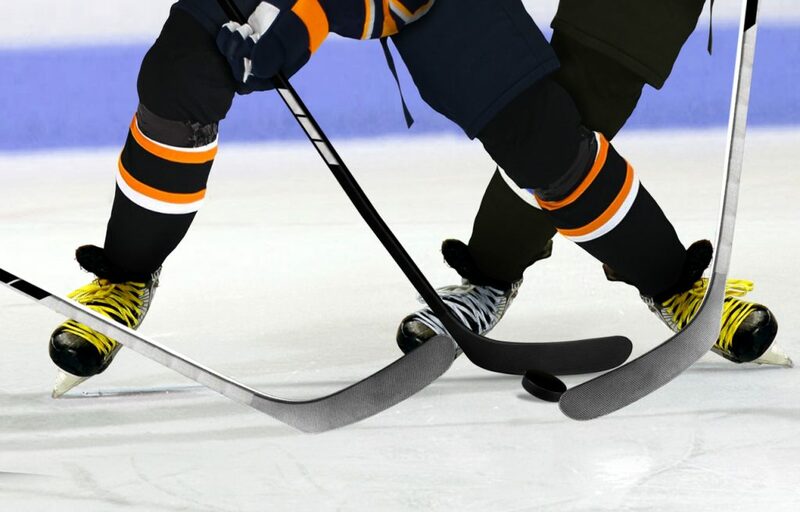 The oldest rivalry of them all has been going on since the founding of the National Hockey League® in 1917, when the Toronto Maple Leafs were created as the Toronto Arenas. The Montreal Canadiens/Maple Leafs is the stuff of legend, and with a combined 37 Stanley Cup wins between them dating back to 1916, the two largest cities in Canada are every bit as fanatical about their hockey clubs as they were when Montreal and Toronto were the only Canadian clubs in the NHL’s Original Six™. Don’t miss your chance to witness another one of these infamous NHL® matchups. Purchase tickets for a game near you here or in the widget below.